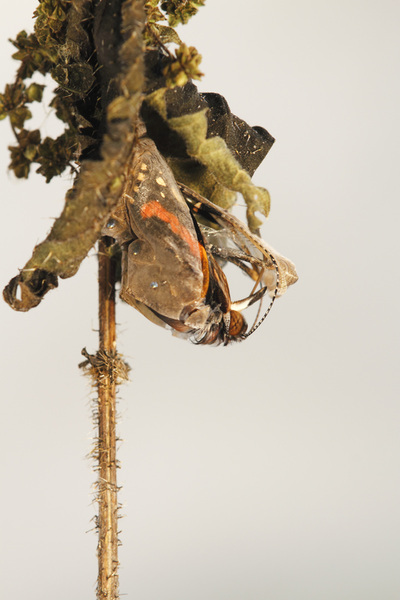 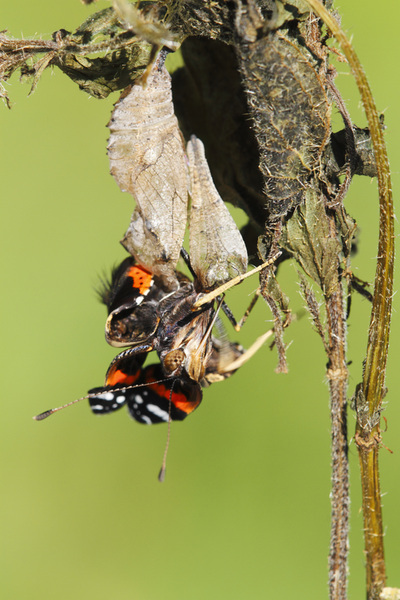 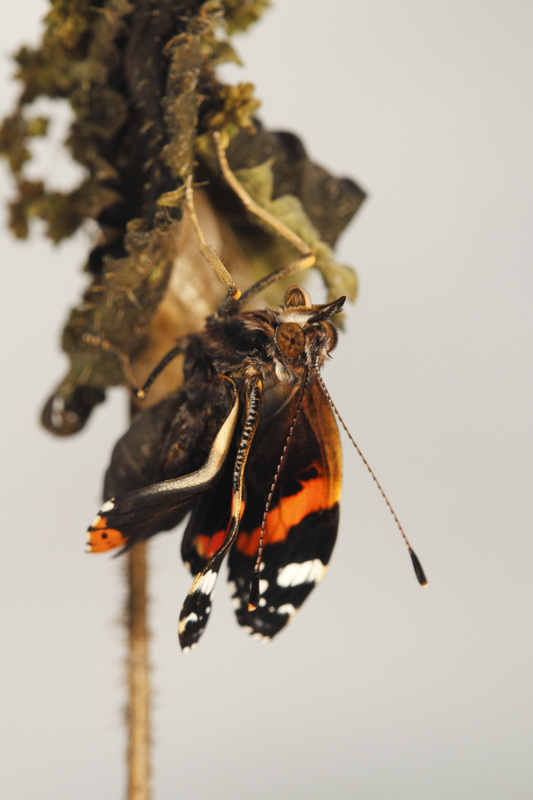 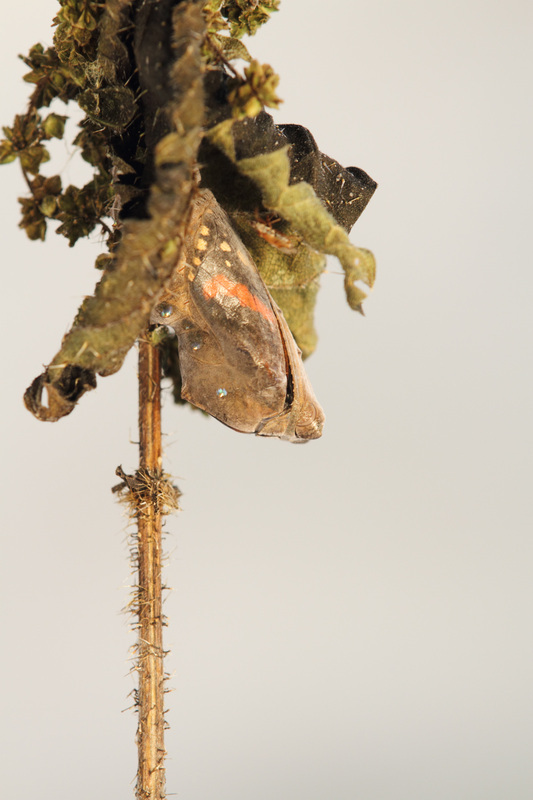 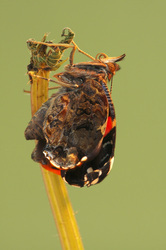 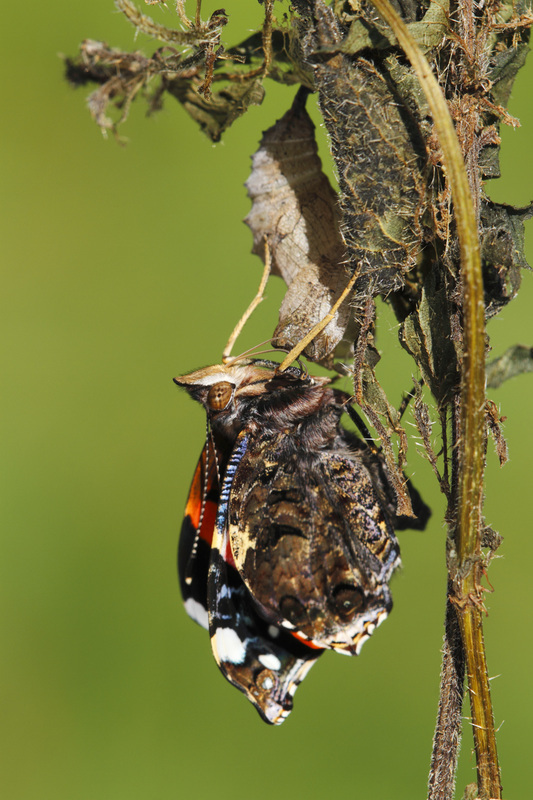 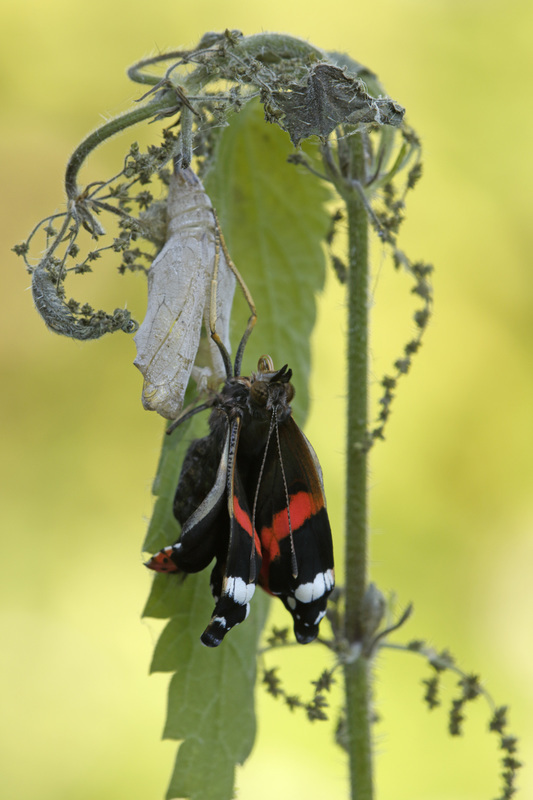 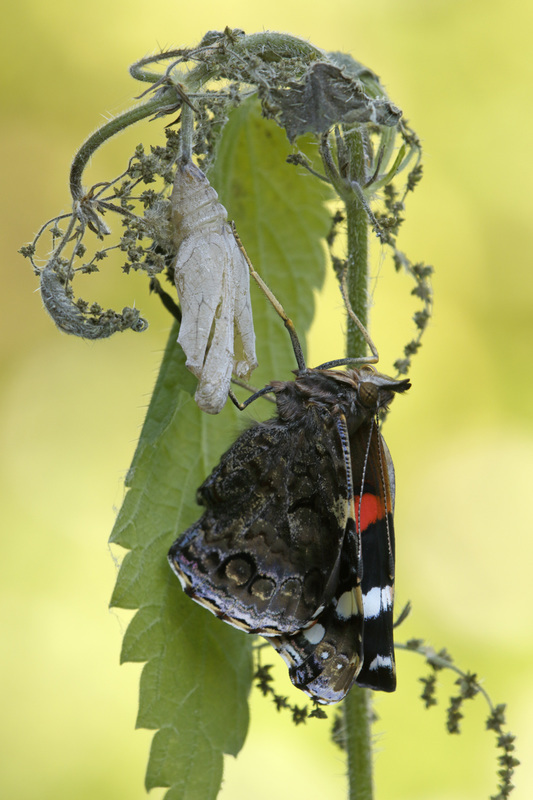 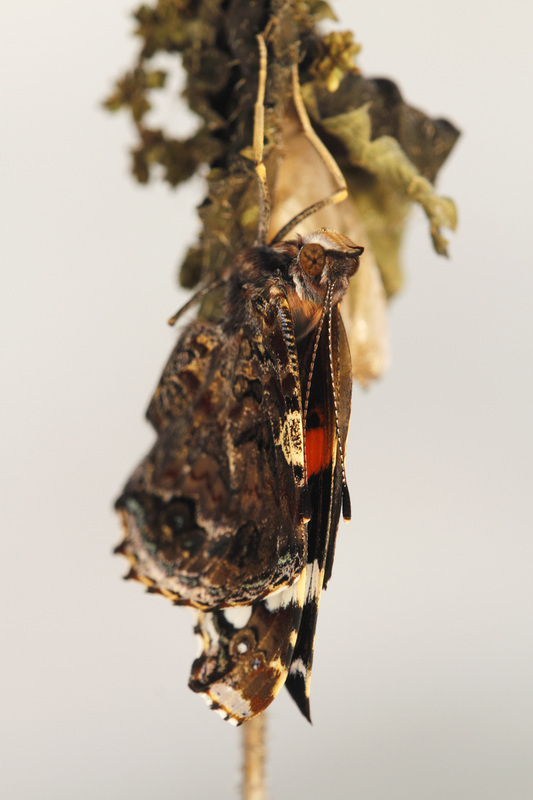 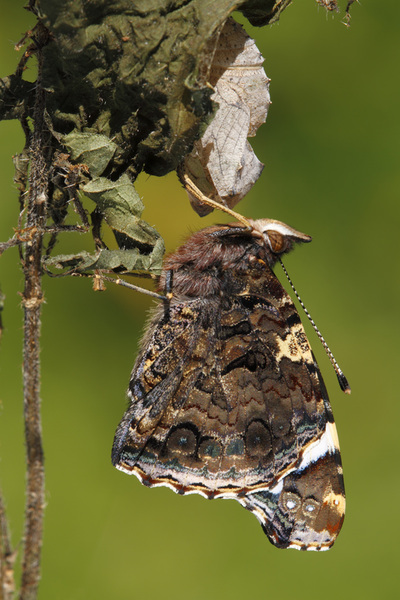 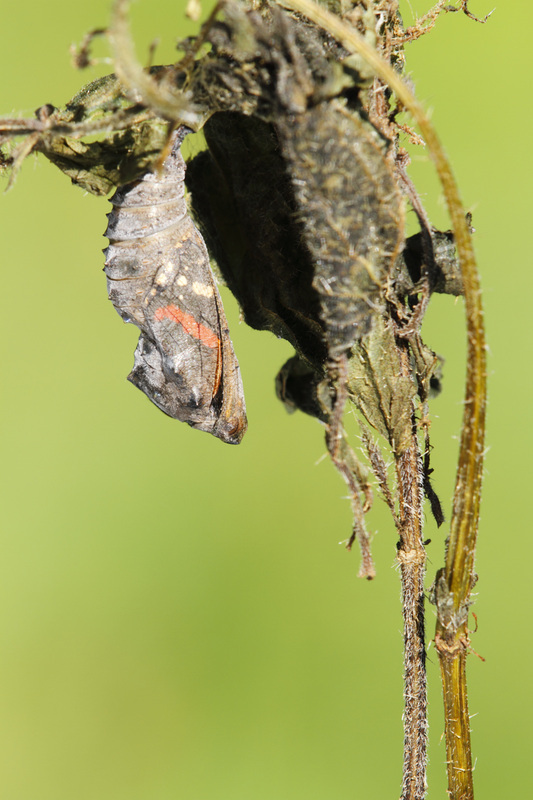 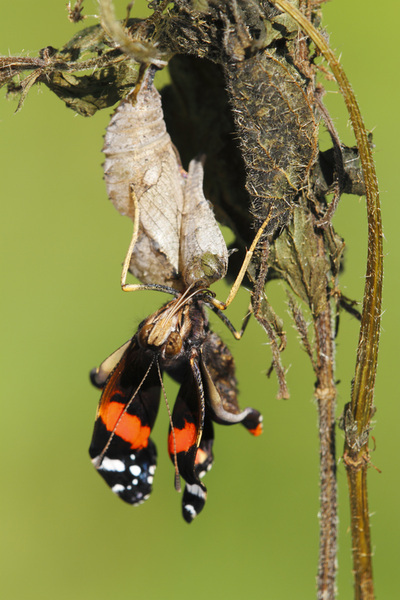 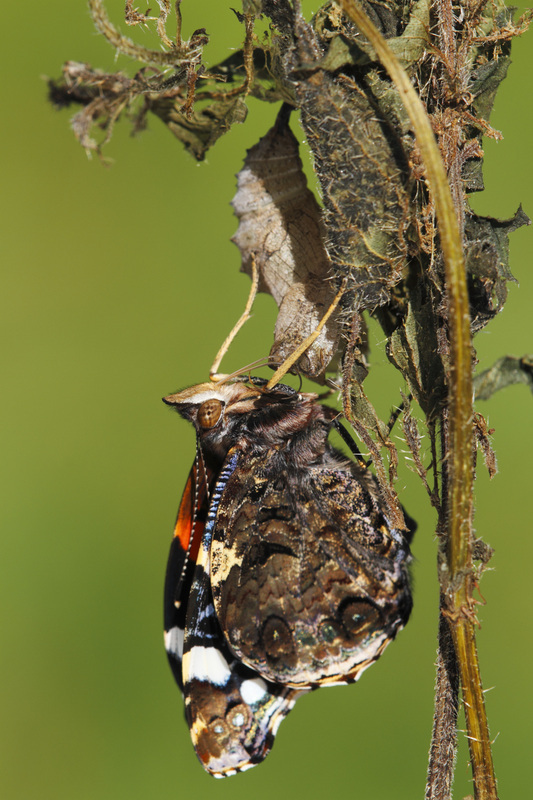 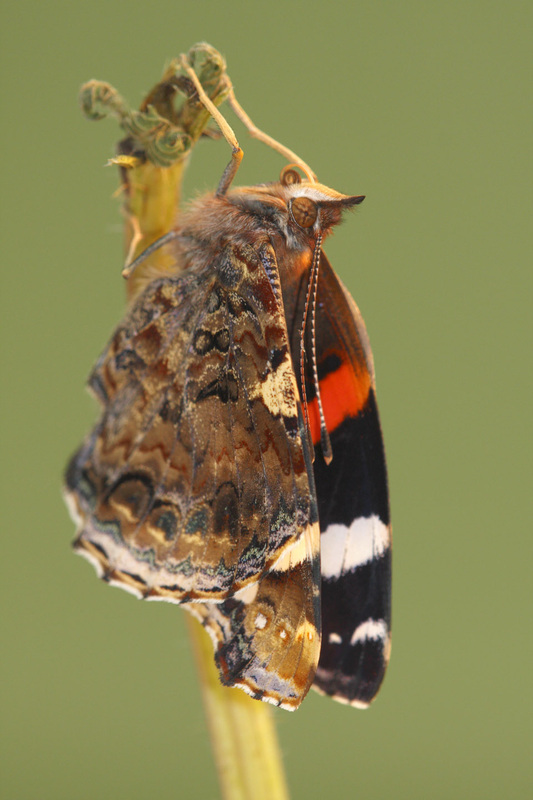 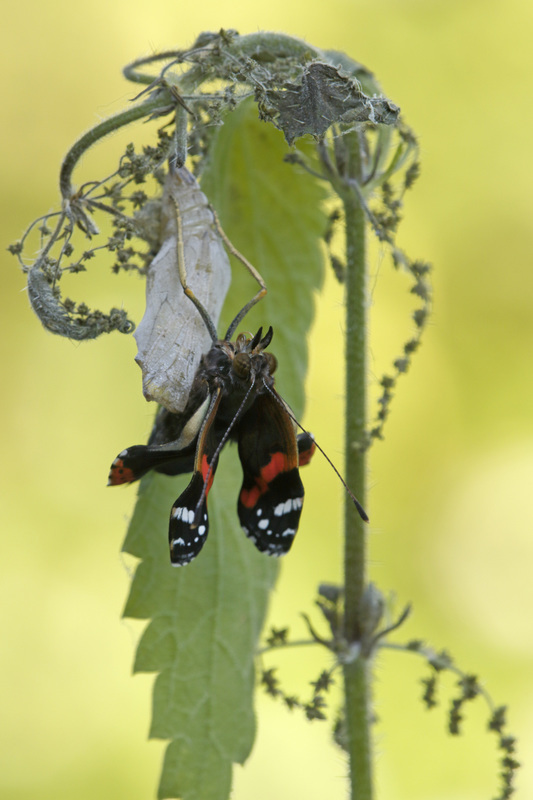 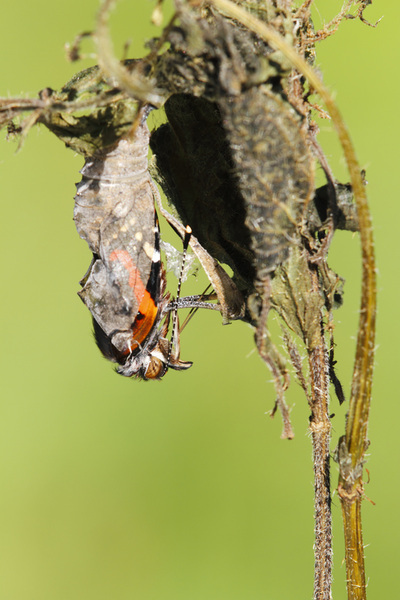 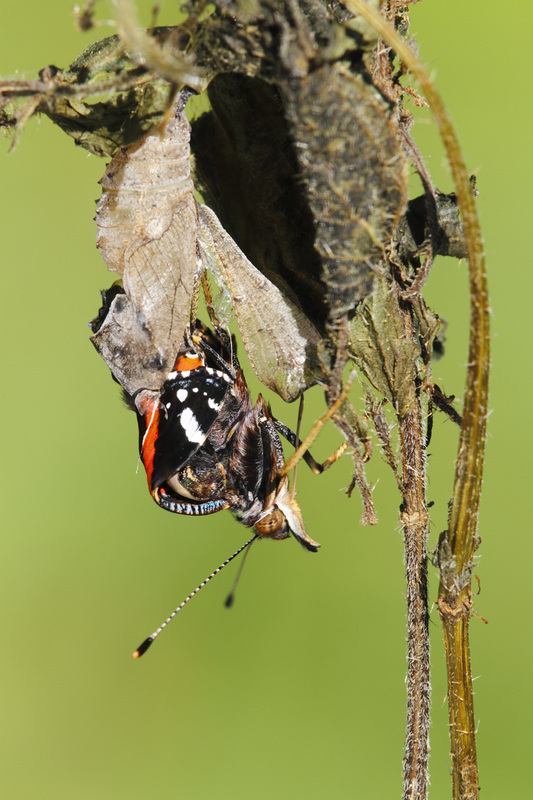 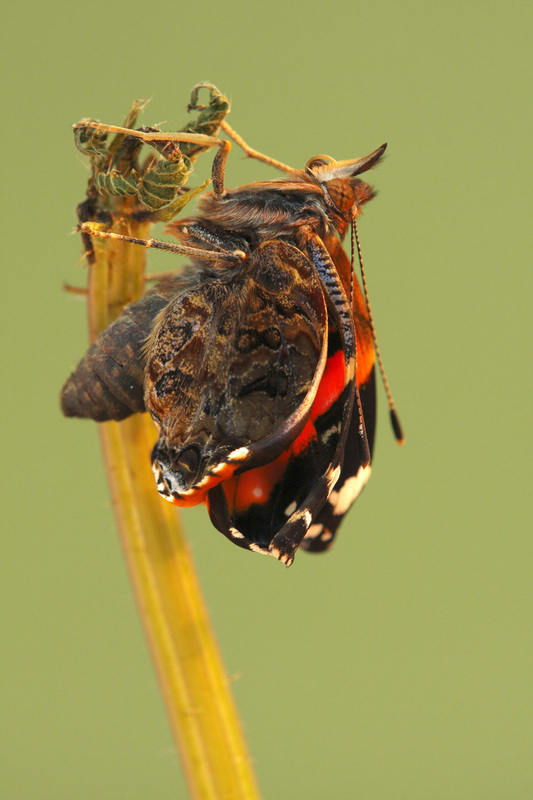 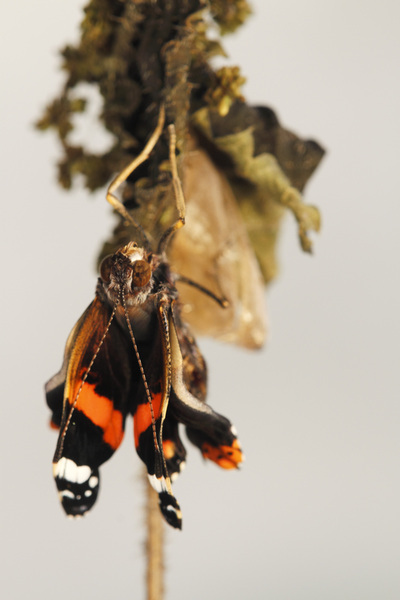 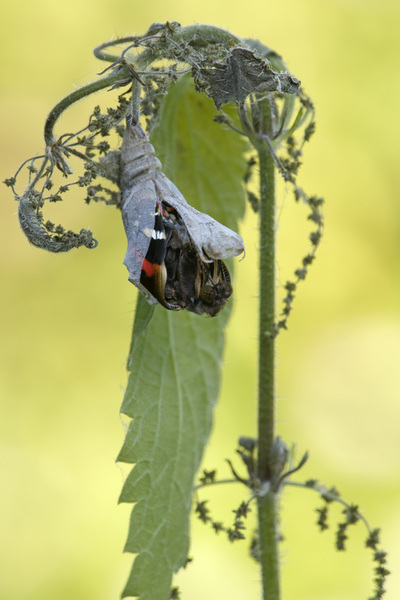 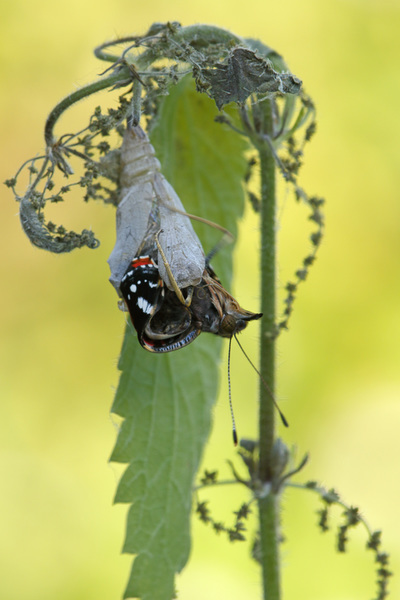 The Red Admiral is one of the butterflies who migrates in spring and autumn. After a short hibernation in the south (Mediterranean) he arrives in The Netherlands in May and stays till October. 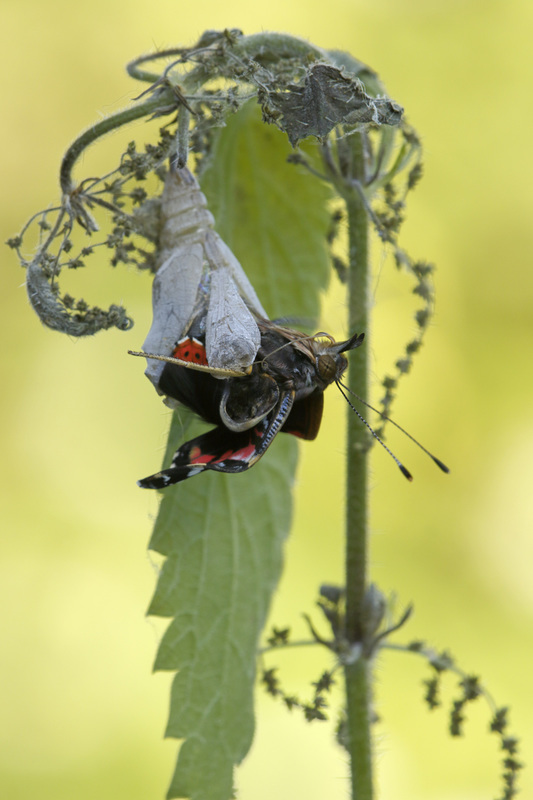 The new generation will fly to the south when temperatures become low. 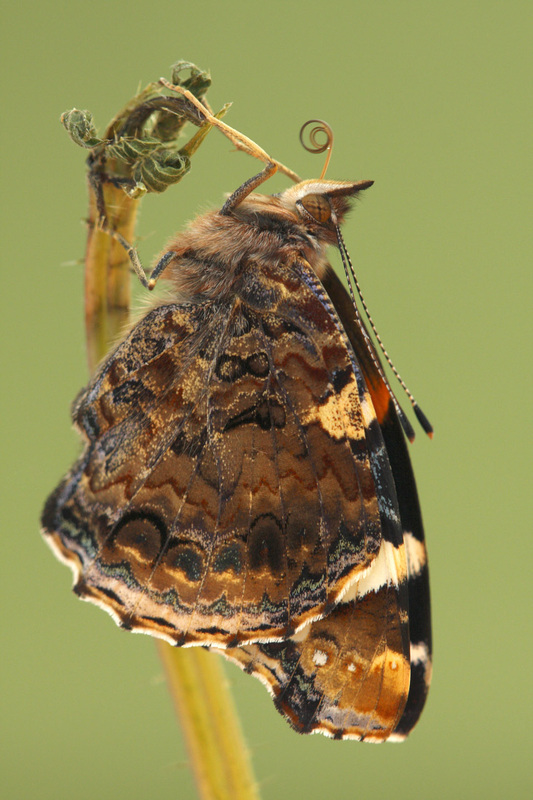 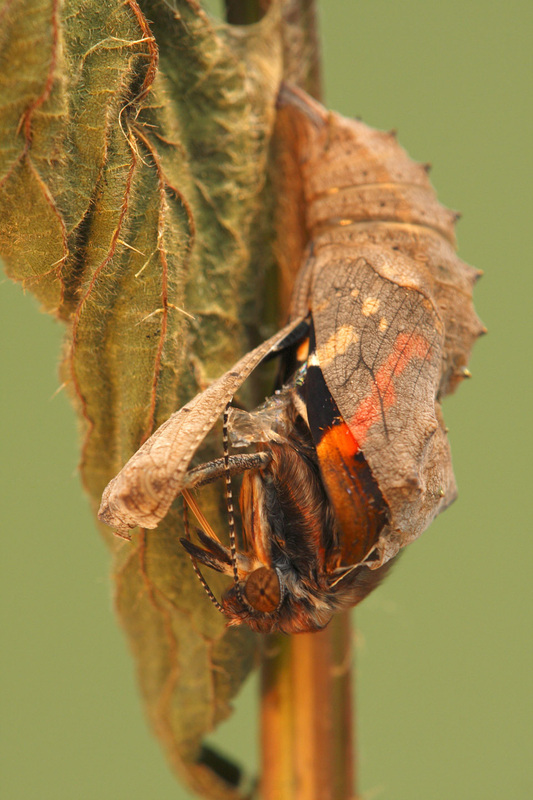 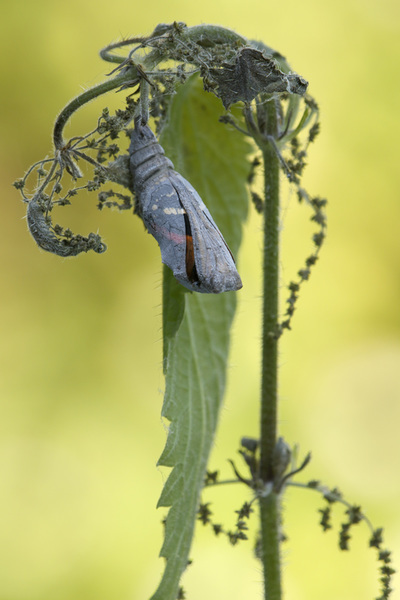 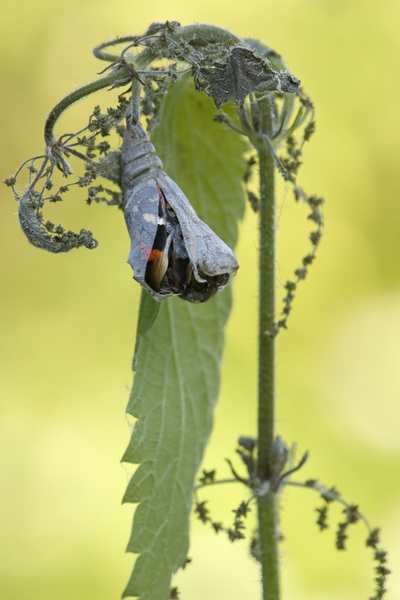 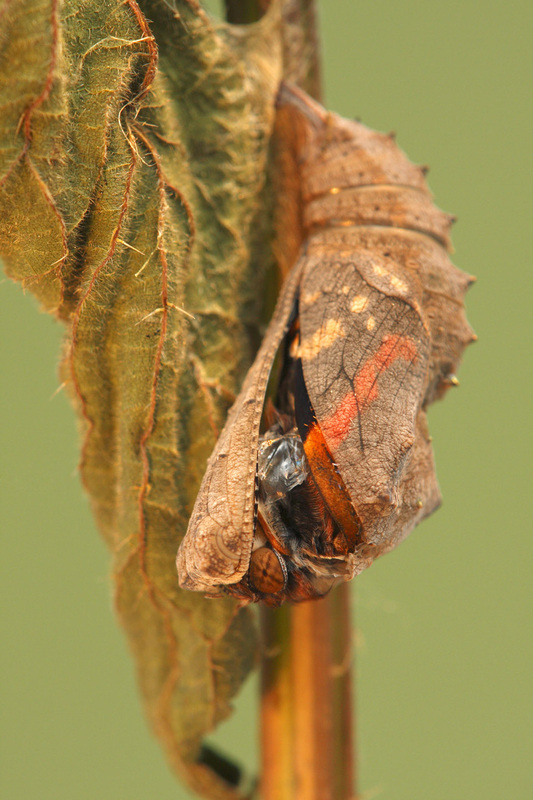 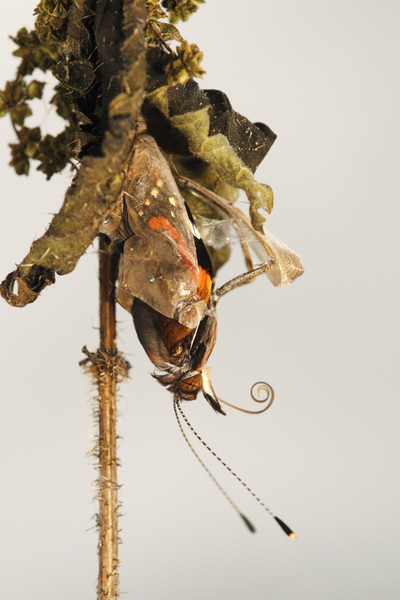 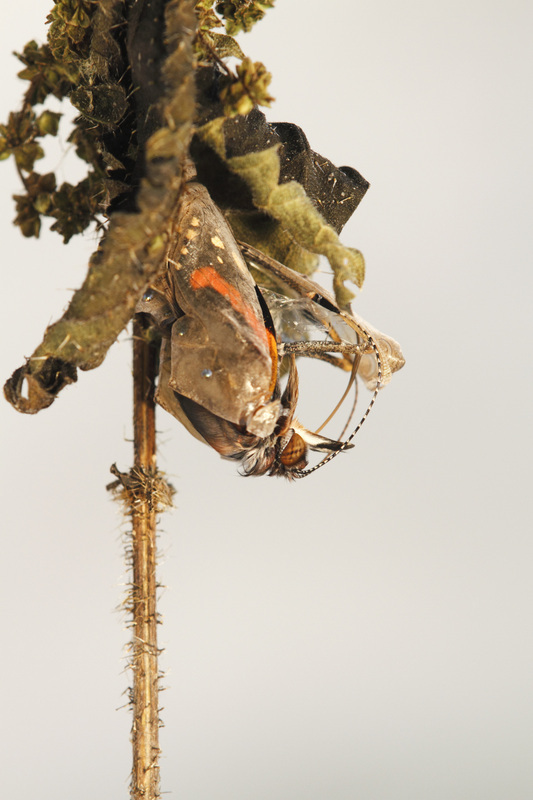 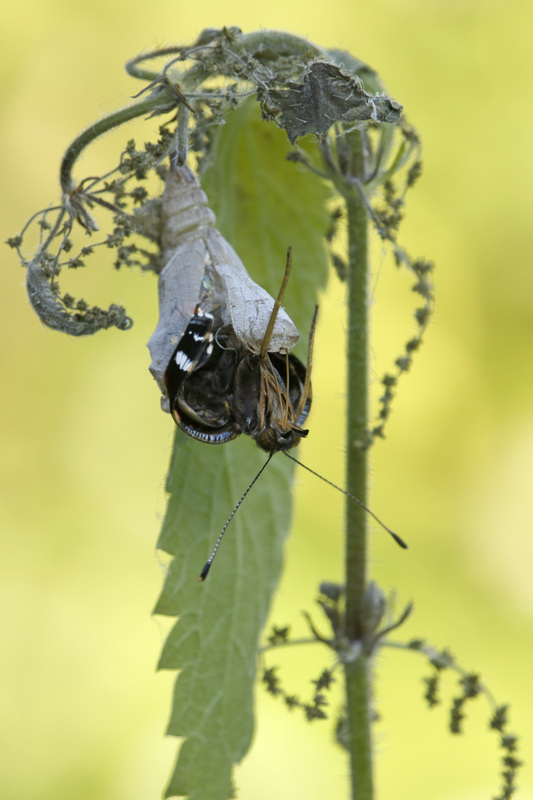 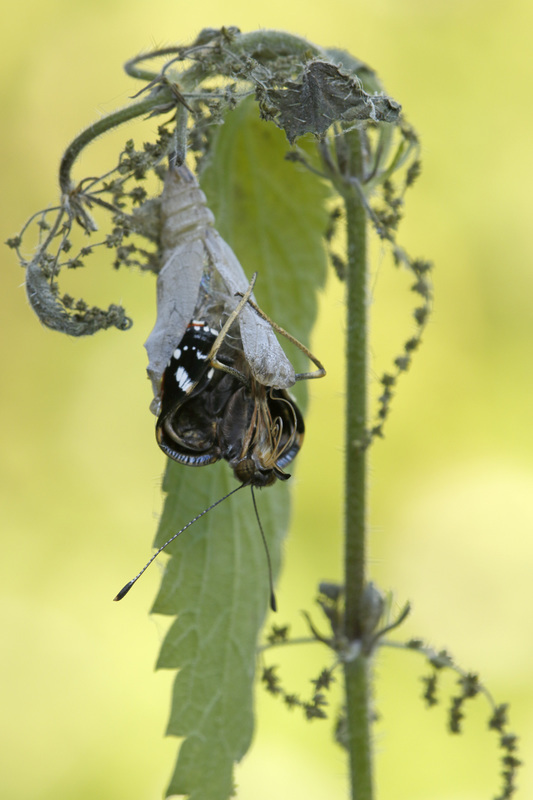 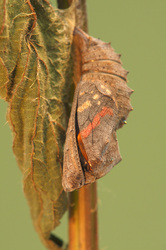 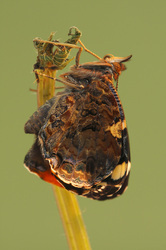 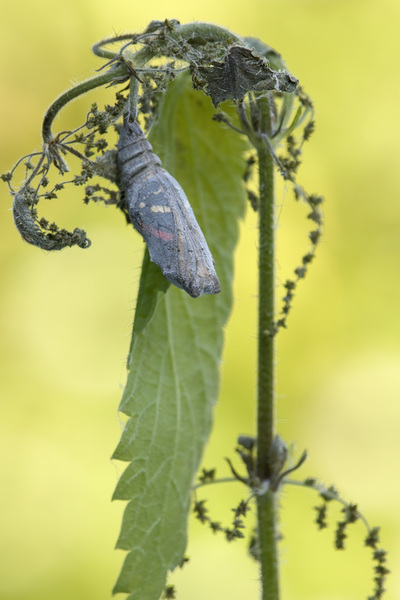 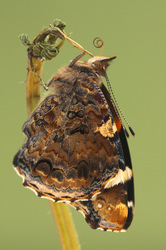 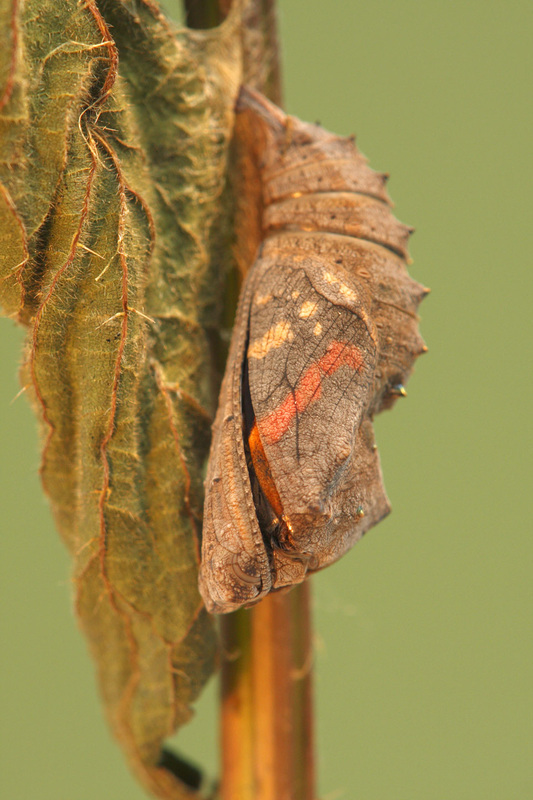 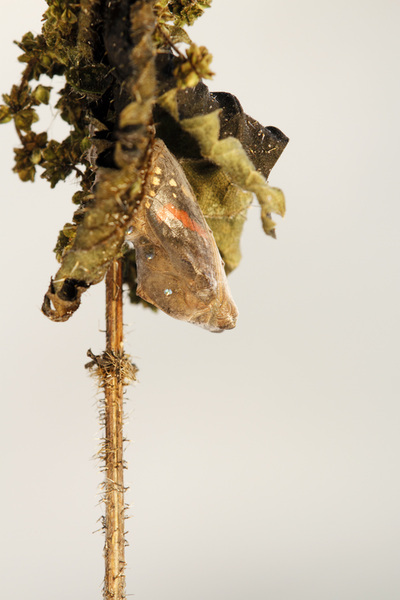 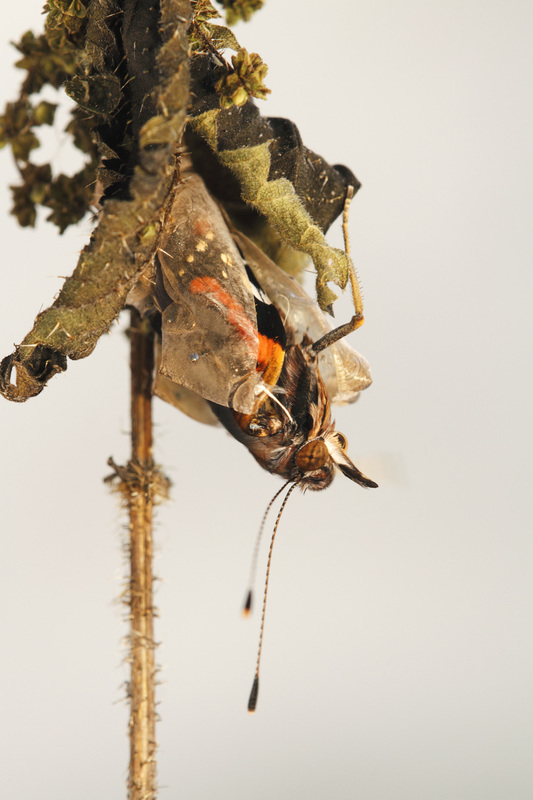 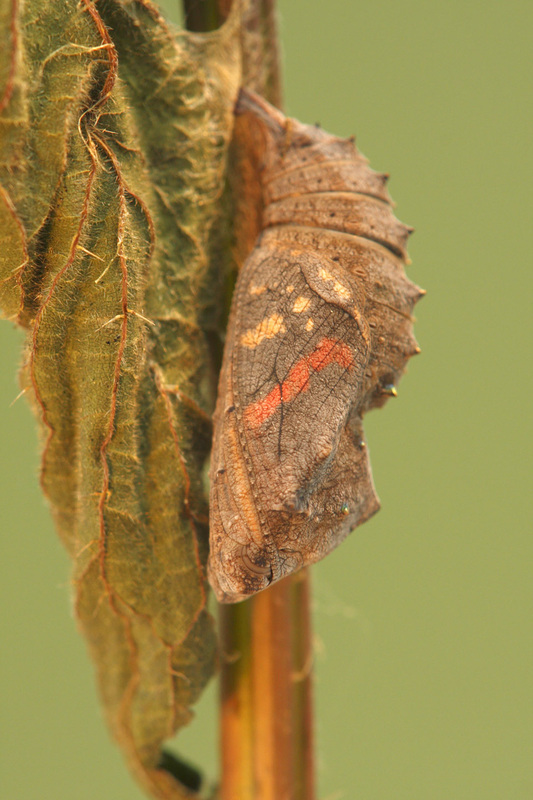 This wide-ranging migratory butterfly can be found almost anywhere with flowers and ripe fruit. 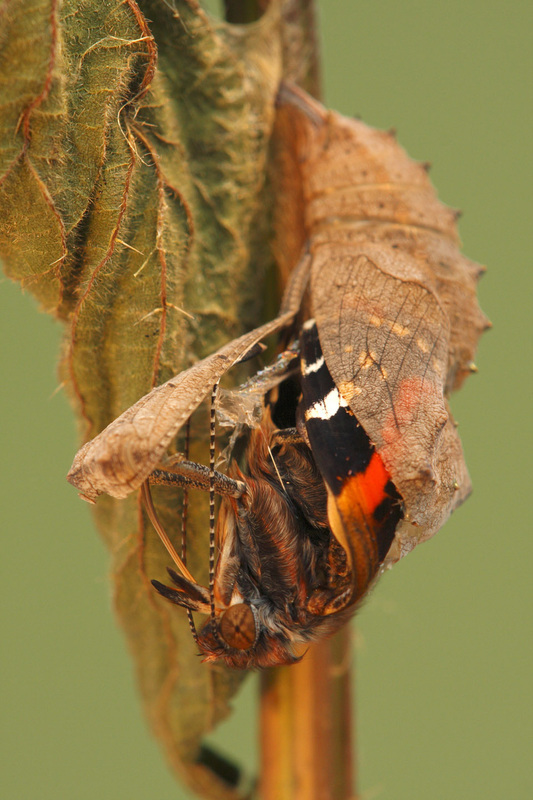 They often drink sap oozing from wounded trees and are also found of over-ripe and fermenting fruit, often they become a little 'drunk'. 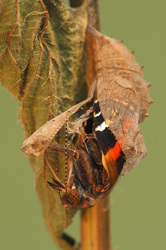 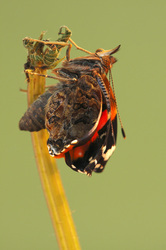 The Red Admiral is often common in gardens. The larval foodplant is Stinging Nettle. 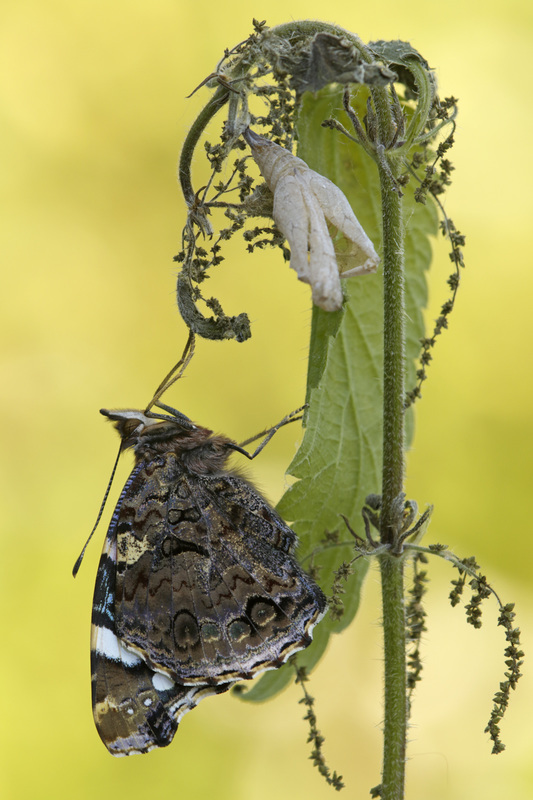 For photos of the other stages please link to my 'regular' page about the Red Admiral (Butterfly Gallery -> Nymphalidae).